Welcome back, yoghurt fans! 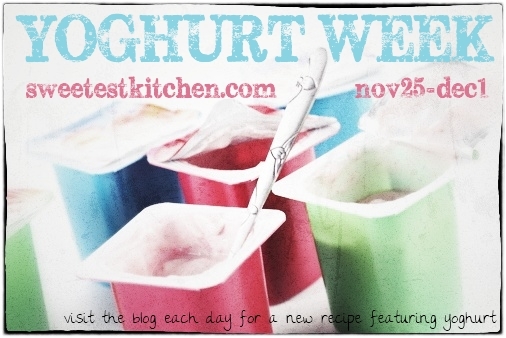 I hope you’ve been enjoying Yoghurt Week so far. Today’s recipe is one I found while searching for ideas on how else to use Greek yoghurt. 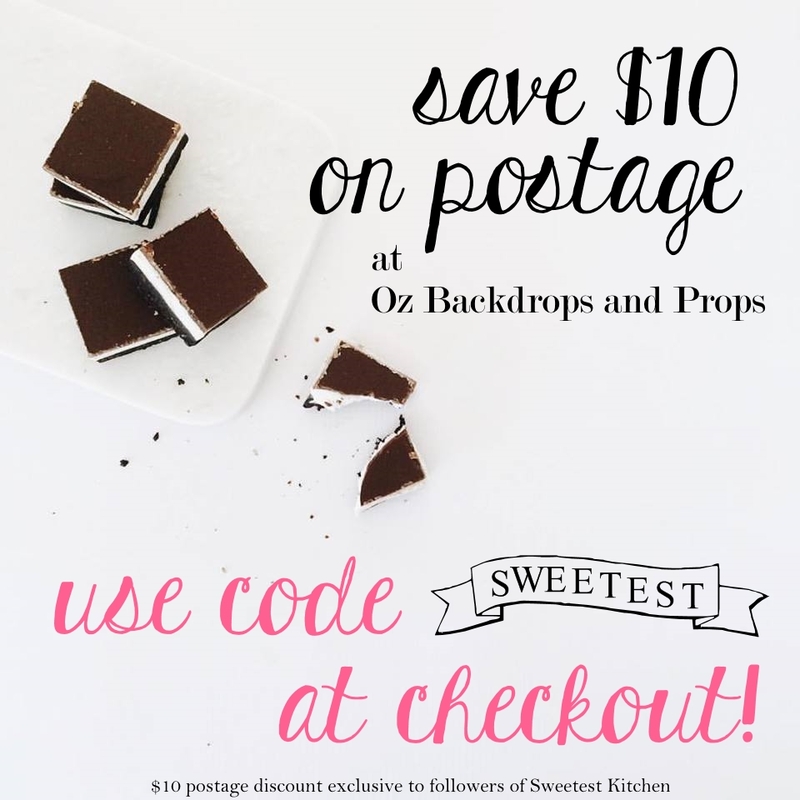 It comes from the cookbook of one of the best food blogs around, Sprouted Kitchen. This recipe uses fresh mint, chocolate chips, whole-milk Greek yoghurt and brown rice syrup as the sweetener, and combines it all together to make frozen yoghurt. This is a rather healthy recipe that you don’t need to feel bad about indulging in. 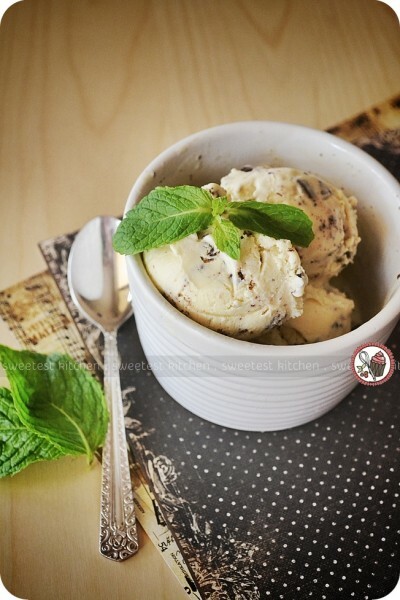 It’s really creamy and super minty; a perfect “ice cream” for someone who loves mint! You’ll definitely be able to taste that Greek yoghurt tang, as well, but the flavors all work quite well together. I don’t think this is a recipe that is going to please your children, as my mint-loving daughter didn’t like it at all! This girl will, literally, immediately consume anything that is flavored with mint. But this frozen yoghurt? She didn’t even get past the first bite! So save this recipe for the adults, I’m sure that they’ll enjoy it as much as I did! I had a search on Sprouted Kitchen’s website for more ice cream recipes and found another one using Greek yoghurt and fresh chocolate chip cookie pieces. It looks so sinfully delicious and I’m sure I’ll be trying this one out next! Greek yoghurt ice cream with chocolate chips and fresh mint. Coarsely chop the mint leaves and put them in a saucepan with the cream. Bring just to a simmer over medium heat, occasionally stirring and pressing the mint leaves so that they release the oils. As soon as it comes to a simmer, add the brown rice syrup and stir to combine, then turn off the heat. Leave the mixture on the stove top to steep for 30 minutes. Pour the cream mixture into a bowl through a fine-mesh sieve to remove the mint leaves. Add the peppermint extract and yogurt to the bowl and whisk to combine. Cover the mixture and chill in the fridge for at least 30 minutes and up to overnight. Churn the yogurt mixture in an ice cream maker, following the manufacturer’s instructions. When the yogurt if finished churning, stir in the chocolate. Serve immediately for a soft-serve like consistency, or transfer to an air-tight container and store in the freezer. Mint choc anything is the best!! Hm… I personally would say that I could taste the yoghurt moreso than the cream. I’m not sure how you are with milk, but I wonder if you could replace the cream with whole milk?? Do you not like normal ice cream then? Looks delicious! I am sure it will be very refreshing on a hot summer’s day. Our family loves to eat yogurt, and this is something that I should create for them. Yummy!